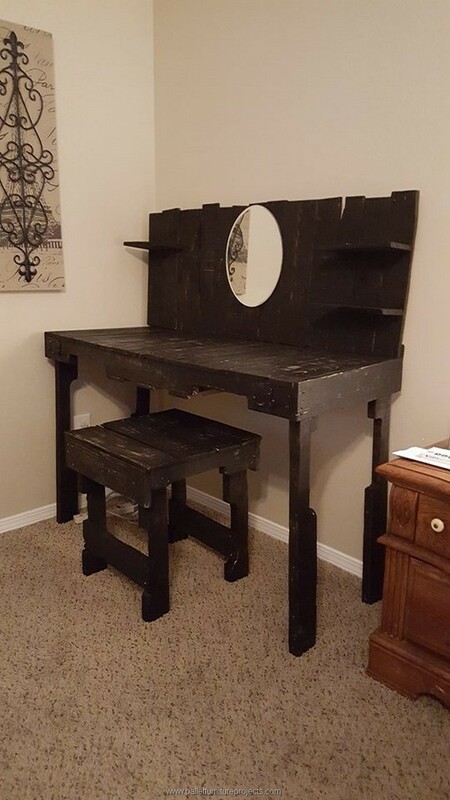 Well, a wooden vanity is something that is probably very close to the heart of ladies as this is something that helps them dealing with their looks and enhancement, or in simple words when doing make up and stuff. So this is something that naturally holds some spiritual sort of importance for ladies, pardon me ladies if I sound a bit sarcastic but trust me I am not at all a sexist. Even we the men also need many things for facial maintenance. 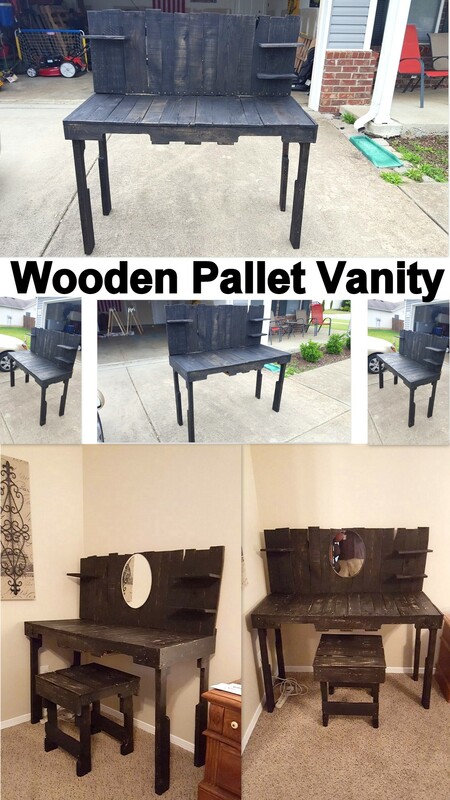 Right now please focus on the said wooden pallet vanity that we are going to bring in front of you guys especially the adorable ladies. 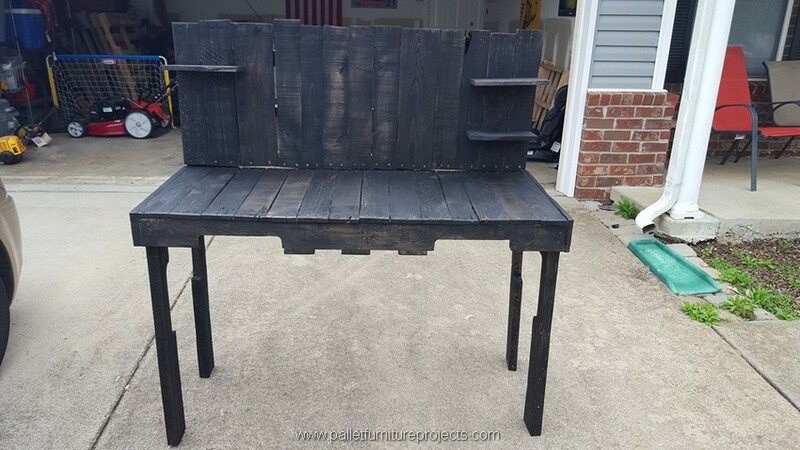 Okay, we have come up here with wood pallet repurposed vanity that is completely simple and unique in its design and shape. This is not at all like those advanced mod squad wooden vanities with multiple cabins and drawers at all, but actually its beauty lies in its simplicity. 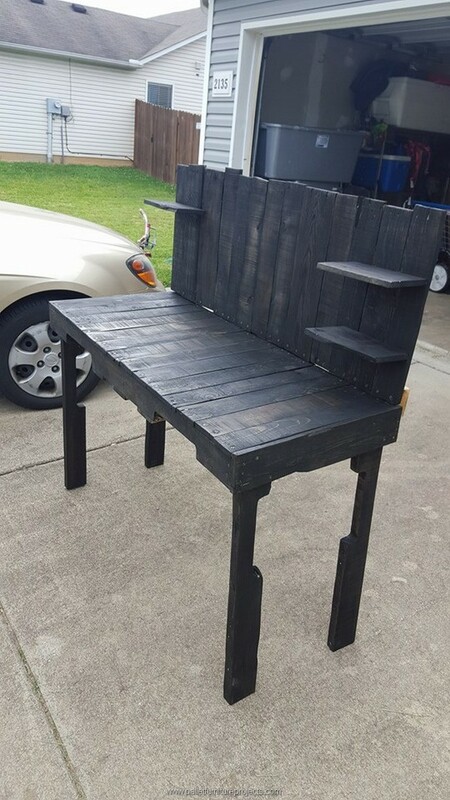 Here it is in front of you, it has only got a couple of additional racks that would be used for a couple of accessories to be placed on it, while the rest of the frame is pretty simple and spared free. 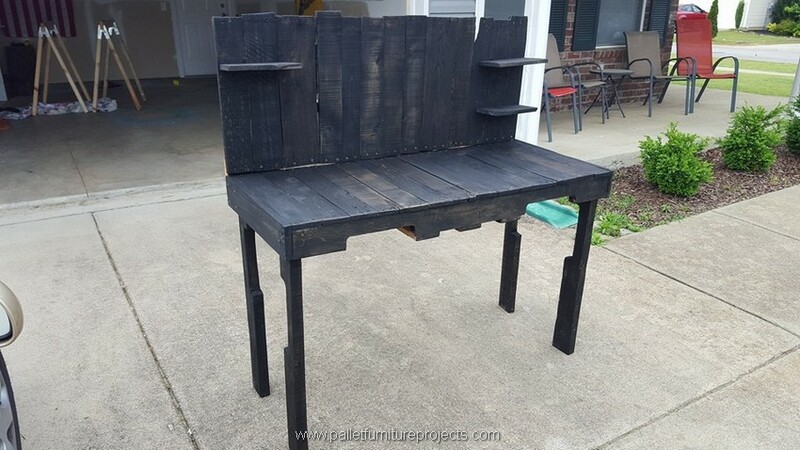 From a distant look it seems like a simple wooden pallet made table but after all we are supposed to make some changes or pour in some alterations that would make it look like a perfectly artistic wood pallet made vanity. So here we are heading towards the completion of this vanity. What next we have done here, we have simply carved out a whole round portion from the front where we are going to install a mirror right in the middle and on the front, because the mirror is something that is essential for a vanity to be called one. Once the mirror is installed, we have also tried a beautiful yet raw matching stool with the vanity because this won’t really look good if the vanity would be lacking a proper sitting article. Same sort of material is used in making the wood pallet stool. In the end we have stained the entire range with dark brown shade that is always admired whenever applied on some wooden furniture items. This shade always enhances the outlook and beauty of the wooden furniture items. 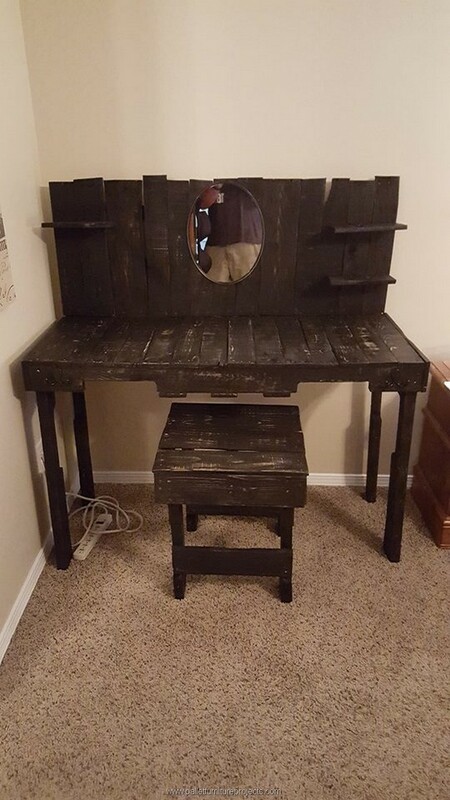 So this is a simple vintage vanity that would give an artistic impact and would add a lot to the surroundings and interior of your room.